The new 2012 Chevrolet Cruze Eco combines the best of both worlds in a time when economic conditions aren’t so great and gas prices continue to hover above $3 a gallon. The new 2012 Cruze Eco exemplifies a good-looking economical package and viable alternative to paying a premium for a hybrid vehicle. 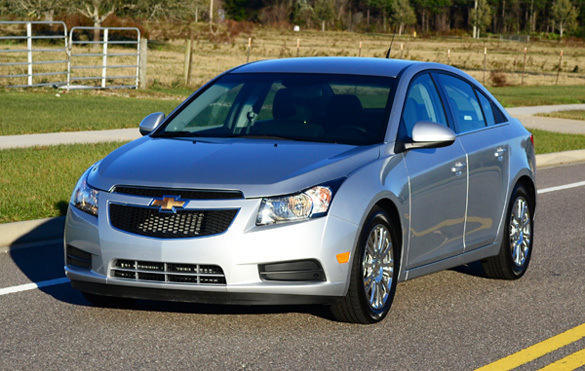 Enthusiasts will give much due respect to the new 2012 Chevrolet Cruze Eco for a few reasons. For one, it is not a hybrid, it does not cost as much as a hybrid, and it does not look anything remotely like the stereotypical compact-sized hybrid. Lastly, the new 2012 Chevy Cruze Eco still manages to muster out upwards of 42 miles to the gallon while remaining spritely for a small compact car. There are a few areas that the new Chevy Cruze Eco differentiates itself from other trim levels of the Cruze. The Cruze Eco 6-speed manual weighs about 100 less due to its smaller 12.6 gallon fuel tank, about 3 gallons smaller than other trim levels, and light-weight forged 17-inch wheels. 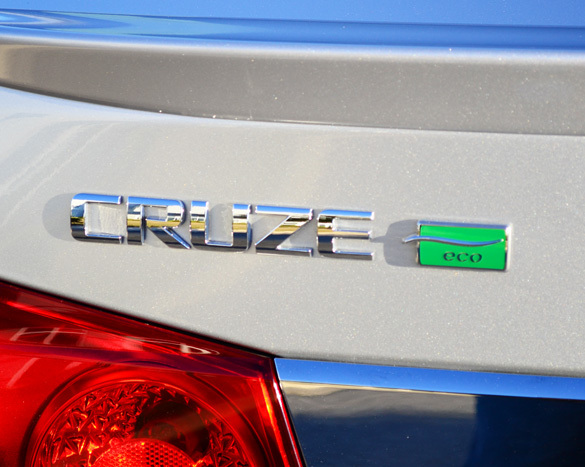 Other attributes that make the Cruze Eco hit its 42 mpg mark are low rolling resistance tires and a unique front “active” air passage that closes up at cruising speeds to reduce drag. Standard on Cruze Eco models is a 6-speed manual transmission helping the Cruze Eco achieve its astonishing fuel economy. 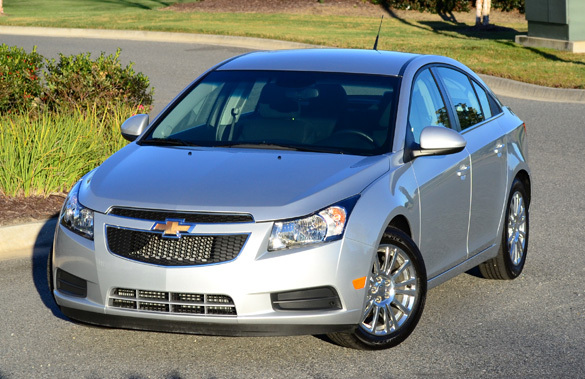 Our 2012 Cruze was equipped with the optional 6-speed automatic found in other Cruze trim levels. Opting for the automatic transmission in the Eco model forces Chevrolet to equip it with the larger gas tank. This adds extra weight and brings fuel economy levels down to a respective 26 mpg city and 39 mpg highway. 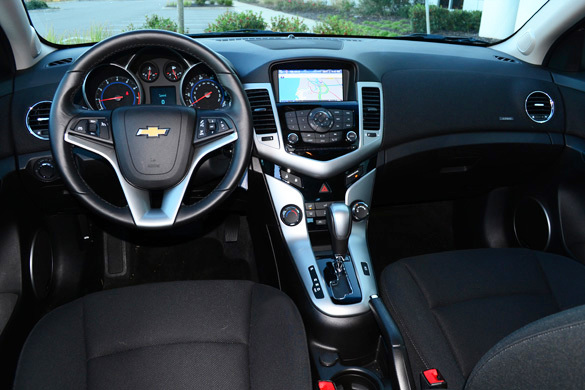 With the standard 6-speed manual, the Cruze Eco gets an estimated 28 mpg city and 42 mpg highway. Even with the automatic transmission, the new Cruze Eco still manages get slightly better highway fuel consumption than the 37 mpg highway figure in other Cruze trim levels. Trim levels for the new 2012 Chevrolet Cruze start with the LS featuring a 1.8-liter 4-cylinder engine producing 138-horsepower and 123-ft lbs. of torque. All other Cruze trims, LT1, ECO, LT2, and LTZ, use a 1.4-liter turbocharged 4-cylinder engine producing 138-horsepower and 148 ft-lbs. of torque. The added torque in the turbocharged engine makes a difference especially when you are jumping out in traffic or attempting to overtake vehicles at highway speeds. 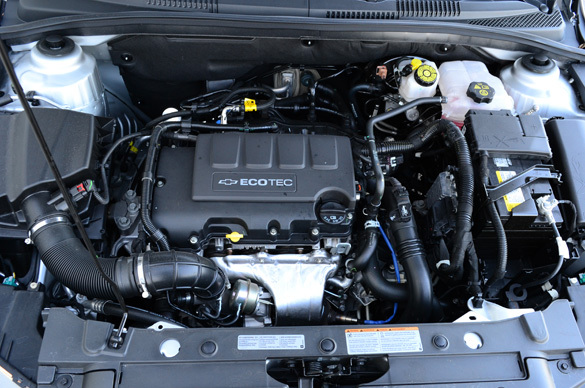 The new turbocharged Cruze has a wide band of usable power for compact car. You may not win any drag races in the new Cruze, but you surely can keep up with fast-lane traffic. 0-60 mph times in the new 1.4-liter turbocharged Cruze average around 9.3 seconds. My 2012 Chevrolet Cruze Eco model was equipped with the optional 6-speed automatic transmission. This transmission tries its best to get every bit of usable power out of the small turbocharged 1.4-liter engine. Although, demanding extra power requires an extra effort of nearly flooring the gas pedal. The transmission tends not to respond to light or medium inputs for up-shifts. Luckily, the transmission does allow you to manually shift the gears. On the downside, manual mode fails to hold a gear if you apply too much gas, it will automatically up-shift as if you are in a normal automatic mode. Ride quality from the new Cruze Eco among the best in the compact vehicle segment. The suspension is tuned just right for a vehicle of this class. The Eco model actually rides about .4-inches lower than other Cruze trims aside from the sport-tuned suspension-equipped Cruse LTZ model. The lower ride hight, in conjunction with the “active” front fascia, helps reduce drag and lets the Cruze Eco virtually slice through the air for better fuel consumption. Drivability of the new Cruze Eco is just as good as any other compact on the market if not better than some. Steering feel is very light from the electric steering rack giving me a false sense of road feedback. Cornering and handling abilities of the new Cruze Eco are surprisingly well. 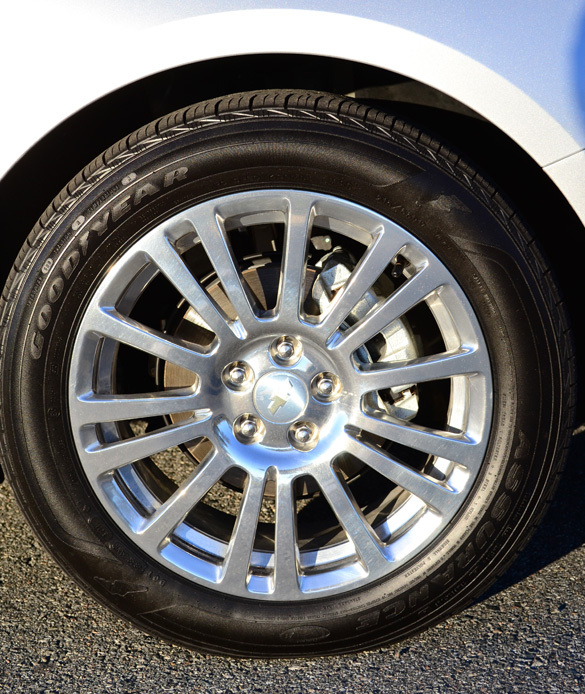 The 215/55 17-inch low-rolling resistance tires tend to howl at the least bit of lateral g-forces. 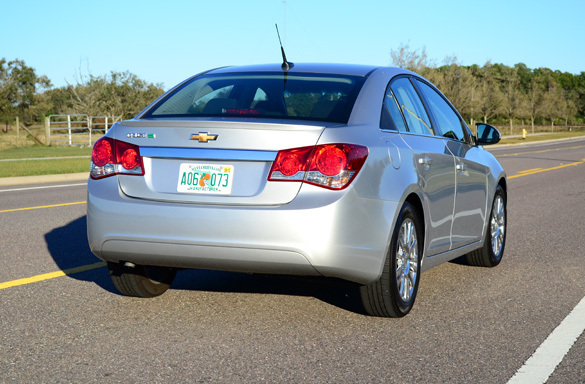 Cornering abilities are surely compromised by Chevrolet’s choice of low-rolling resistance tires on the Cruze Eco. Although you initially get a sense of good handling abilities from the Cruze’s suspension setup, you would not want to put the Cruze Eco into any sharp turns at speed without ensuring your life insurance premiums are paid up. Fortunately, there is an excellent stability and traction control system to help put things back in line after driving like a hoon. 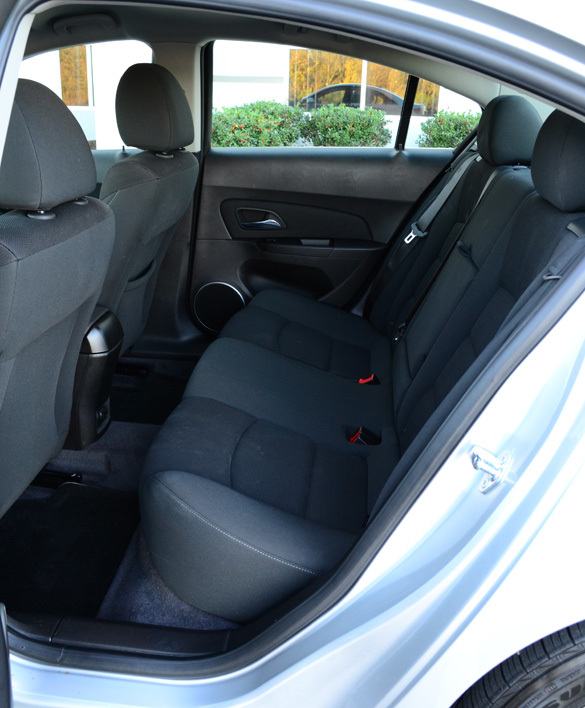 The cabin of the new 2012 Chevrolet Cruze Eco somewhat surpasses the initial quality perception of other compact cars on the current market. 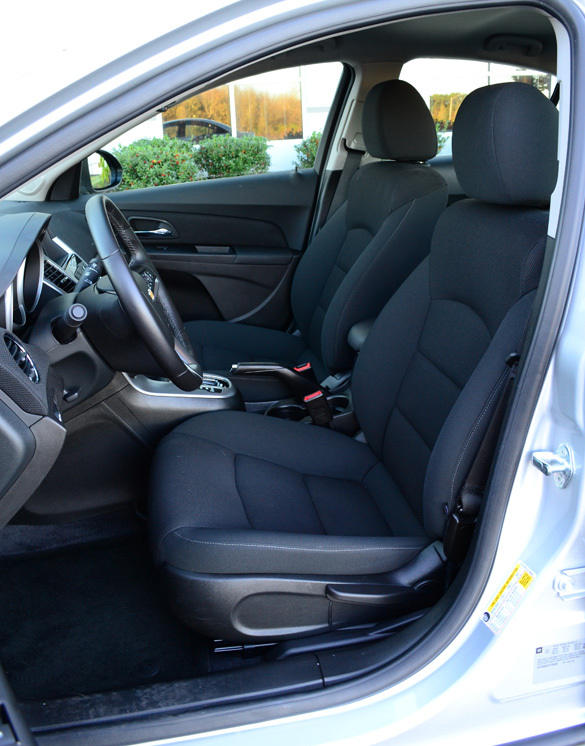 The Cruze Eco opts for a cloth interior instead of offering leather seating surfaces to possibly save weight. Moreover, the dashboard is covered in a tightly knitted fabric. The interior of the new Cruze is one sign of its Opel platform roots. The front seats have a lot of adjustability but are somewhat on the firm side. Rear seating is just enough for two small to averaged sized adults considering they are under 6-feet tall. Legroom is a bit cramped in the rear unless the front seats are adjust fully forward. 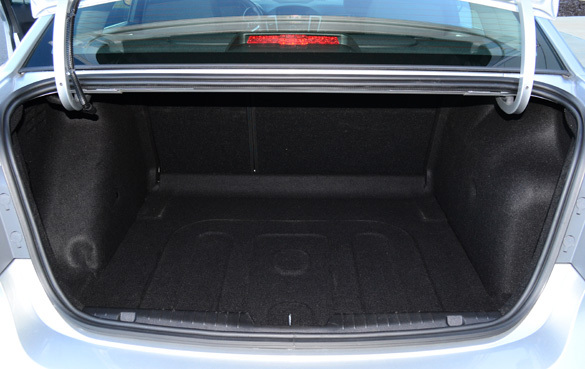 The 60/40 split folding bench in the rear allows additional cargo space and pass-through to the trunk. 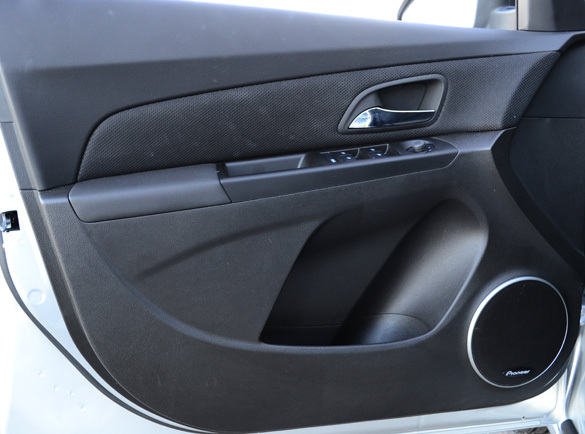 The list of optional equipment on the new Chevrolet Cruze rivals some midsized cars. For the 2012 Cruze Eco model, things are kept somewhat simple but allow you to equip GM’s latest iteration of their touch-LCD-screen GPS navigation system integrating the audio system and some vehicle settings. An icon-based high-resolution color LCD touch-screen proves to be very user-friendly. The only qualm with the system is how cumbersome it is to input information. 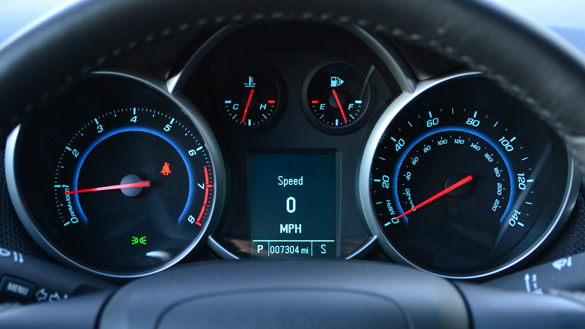 Dashboard controls are clearly marked but the positioning of the air conditioner temp and fan speed control dials are in the way of front occupants’ leg closest to the center stack. I found my right leg nudging the temperature control to the cold position consistently every time I drove the new Cruze. Quite possibly by positioning these controls a few inches higher it would resolve this issue. 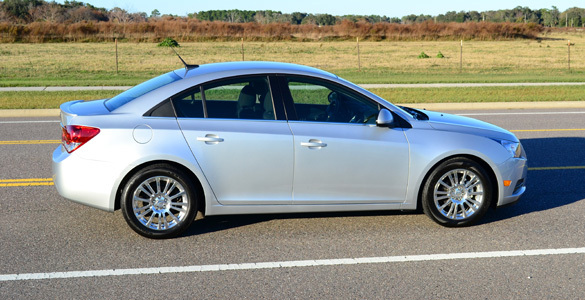 There is no doubt that the new 2012 Chevrolet Cruze Eco has its fair share of competition. Where the new Chevy Cruze Eco model shines is its ability to get near hybrid mpg figures costing thousands less than the price tag of a new hybrid. The way to go would be a new Cruze Eco with the 6-speed manual giving the driver up to 42 mpg and decent performance out of a low-priced stylish compact car. The new 2012 Chevrolet Cruze Eco starts at $19,245 while my Cruze Eco test vehicle with automatic transmission and navigation system is nicely priced at $22,530.